During the year 1987, Russia was pushing their boundaries on technology and military advancement. What they were building and testing during that time actually prompted the United States, Area 51 in fact, to build unmanned drones to spy on their actions. This plan of action was brought about when images were taken of a giant vessel flying across the Caspian Sea at unheard of speeds. The US military wasn’t sure what they were looking at. A vessel that could reach speeds achieved only by airplanes but stayed low enough that it would hide under radar much like a stealthy boat. 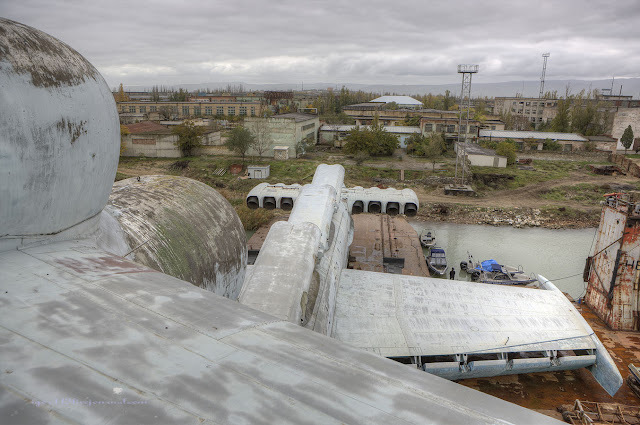 The spying revealed what the Russian’s dubbed the Lun Class Ekranoplan. Not quite an airplane and not quite a ship, the Ekranoplan was something much more and it terrified Navies around the world. It weighs in at a whopping 380 tons and has a wingspan of 148 feet. 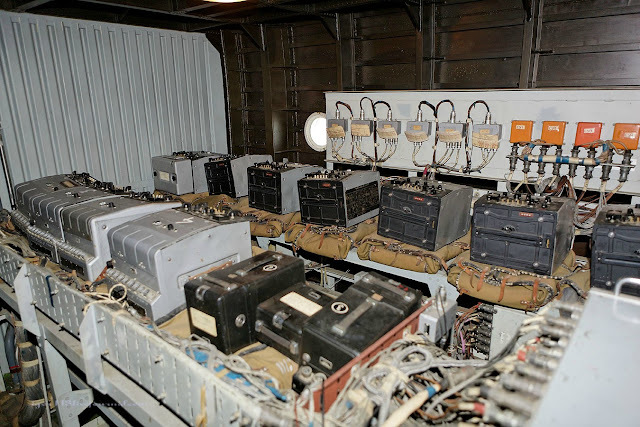 It contained 6 anti-ship missiles that could be launched from flight or from a stand still. The Lun Class Ekranoplan could only reach an altitude of about 15 feet above the sea so it was more of a harrier styled ship than a plane. This incredible piece of machinery is in a class all its own. Take a look at some incredible images and a video of the Russian Lun Class Ekranoplan below. 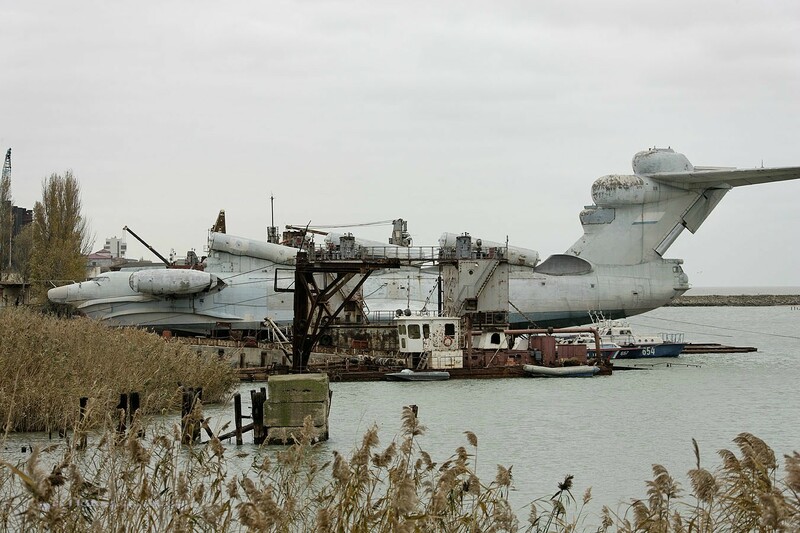 The Lun Class Ekranoplan was built from scrap past projects in 1987 and was commissioned for use until sometime in the late 90’s. It is 240 feet long and boasts 6 Moskit anti-ship missiles capable of reaching a top speed of Mach 3. 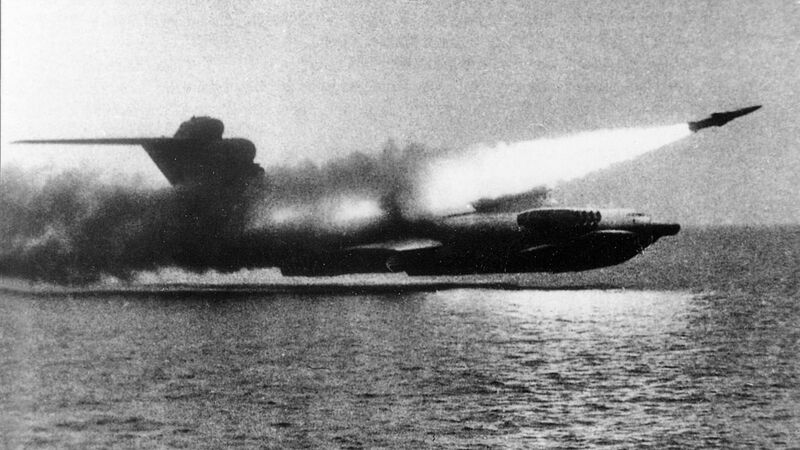 Combined with the top speed of the Ekranoplan, these missiles would be undetected until about 30 seconds before they hit. In comparison, the most destructive anti-ship missile the U.S. had at that time gave enemies a 2 minute warning. The shape of the hull underneath the Ekranoplan allowed it to fly just above the ocean’s surface. 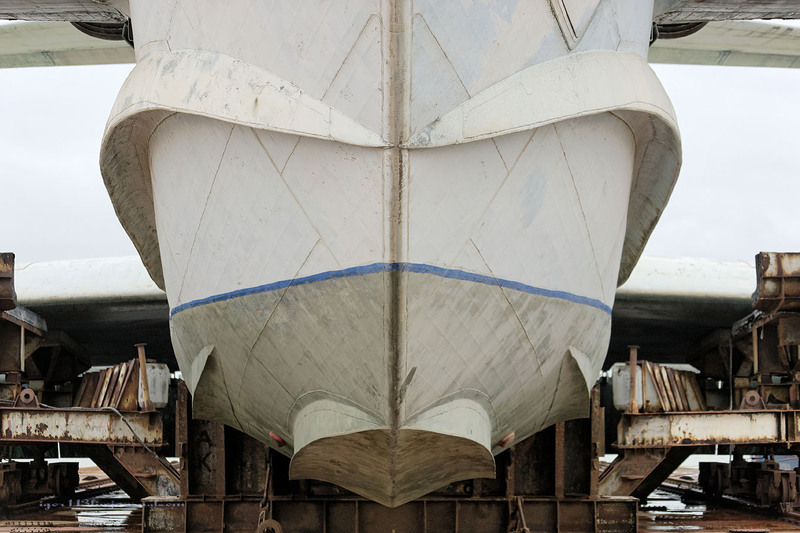 The hull is similar to that of an ocean speed boat capable of cutting through large waves at a very high speed. 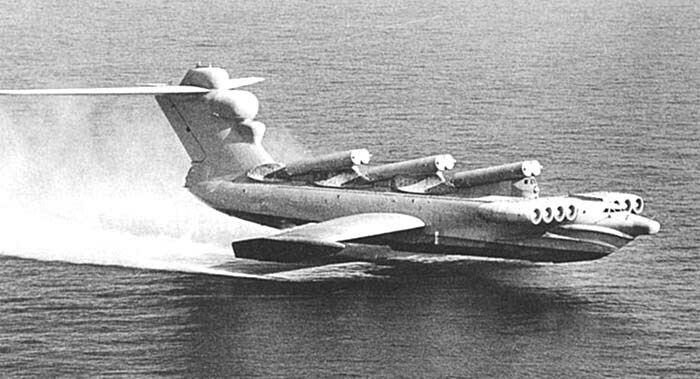 The Ekranoplan was capable of speeds upwards of 300 mph at an altitude of roughly 4-15 feet above the water below. 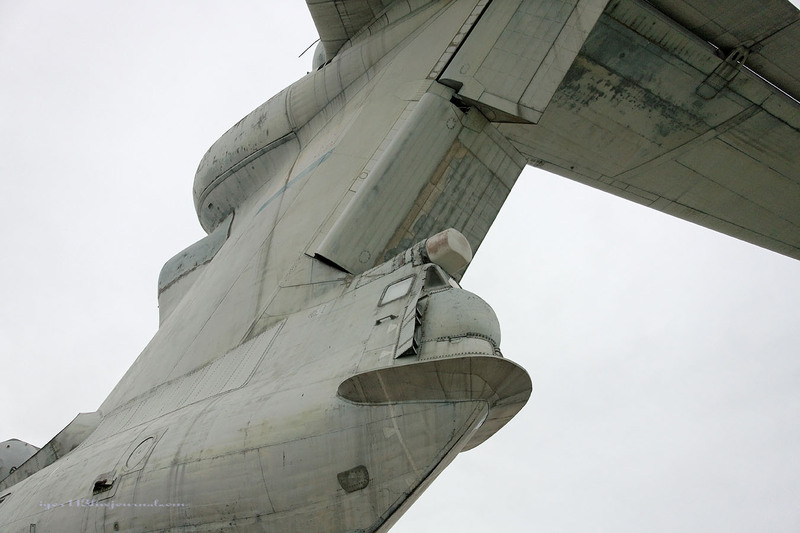 Because of the wing shape, a cushion of air is created between the ship and the ocean surface. This allows for an incredible top speed for such a large vessel. 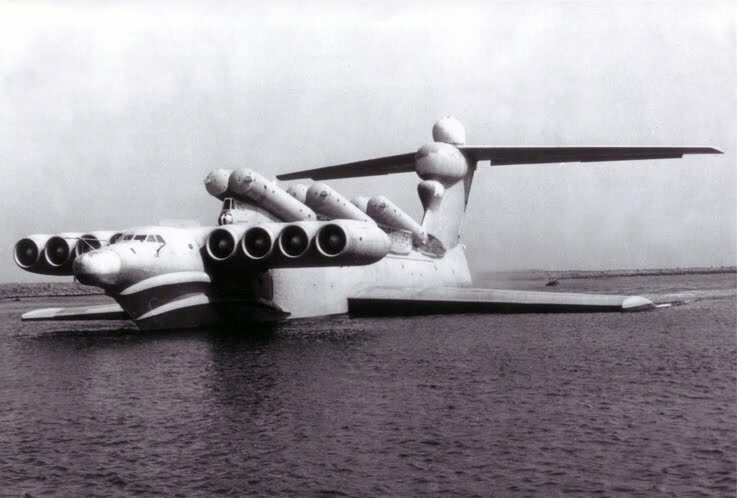 The Lun Class Ekranoplan was designed by Rostislav Evgenievich Alexeyev to dominate the high seas completely undetected by radar and carrying a payload of firepower that could destroy any ship on the sea. 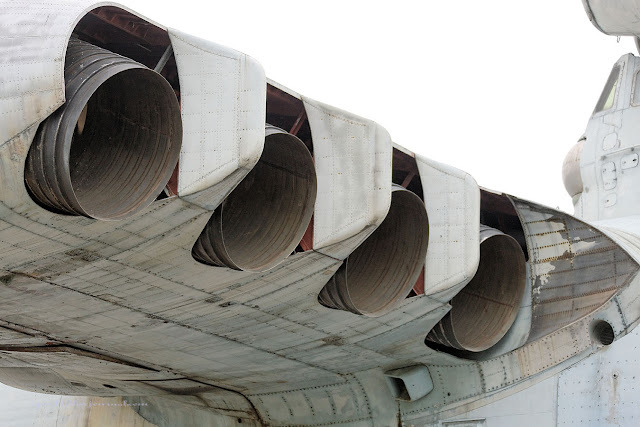 It was equipped with 8 enormous jet engines with adjustable nozzles capable of 28,000 pounds of thrust each. That equals out to be 224,000 pounds of thrust that would propel the Ekranoplan within a 1,200 – 2,000 mile range. 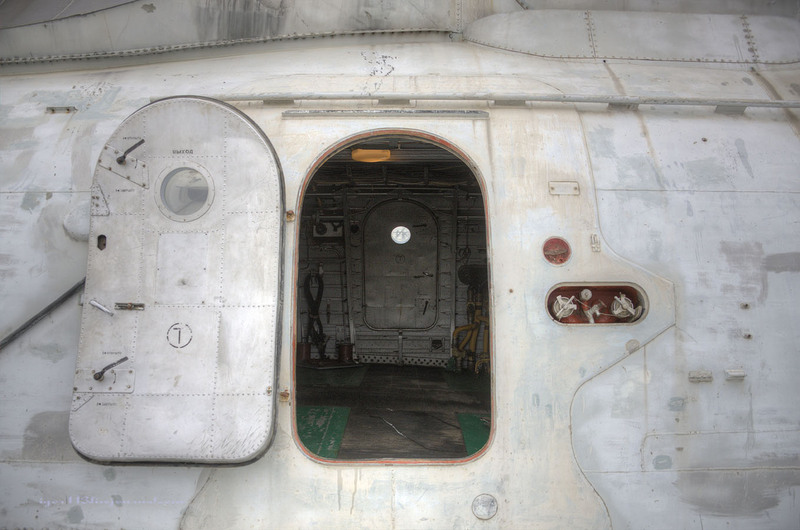 It was able to support a full crew for 5 days without resupplying. Although it was never tested, the vessel is said to be able to transport 900 soldiers if needed as well. The jet nozzles are adjustable much like that of a harrier jet. 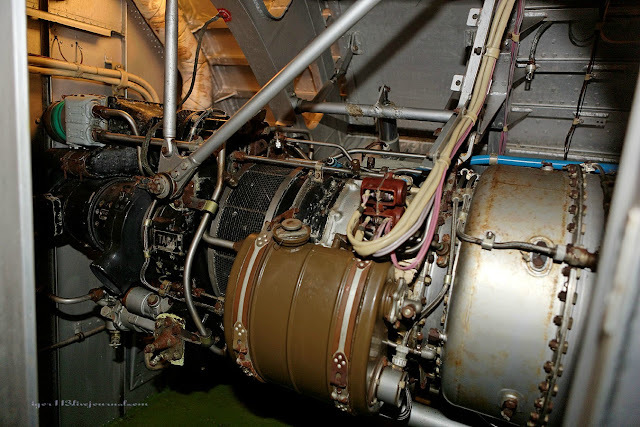 They help control the lift and the speed of the Ekranoplan. 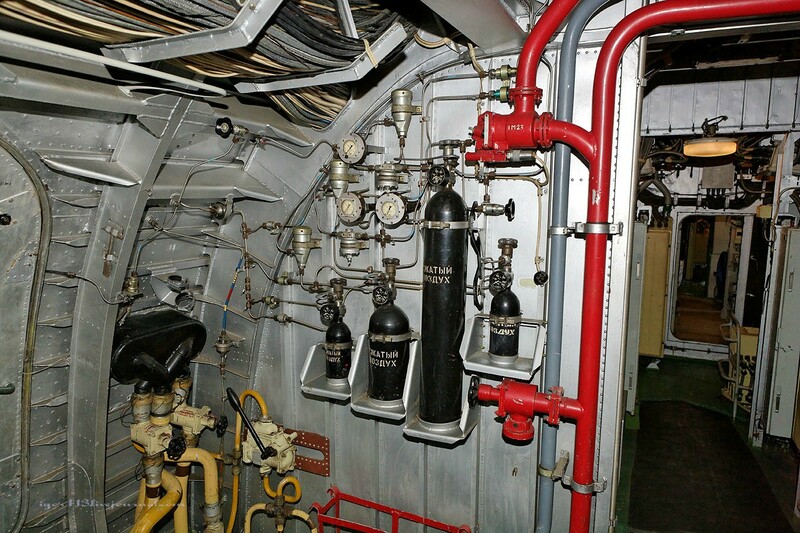 With 4 on each side, there is no lack of power here making it the fastest sea vessel of its time. This incredible feat of engineering genius was docked in the late 90’s where it sits in a guarded Russian harbor. The Lun Class Ekranoplan has no landing gear making it a sea vessel only. It requires a special dock to store it. The dock submerges underneath the vessel and lifts it up onto shore. 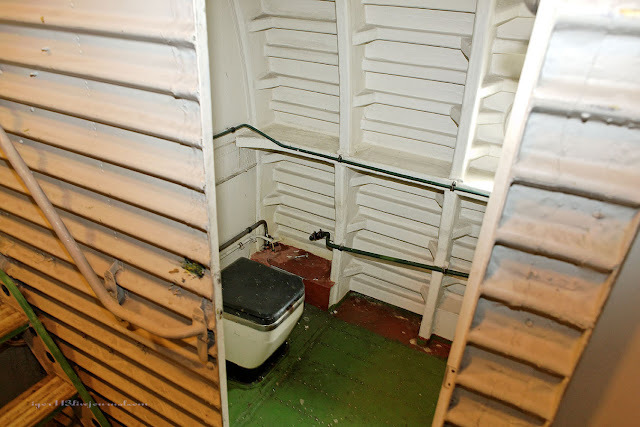 It has been stored here since the late 90’s with no plans to undergo a renovation. It does receive some maintenance, however the weather is slowly deteriorating the beautiful work of art. 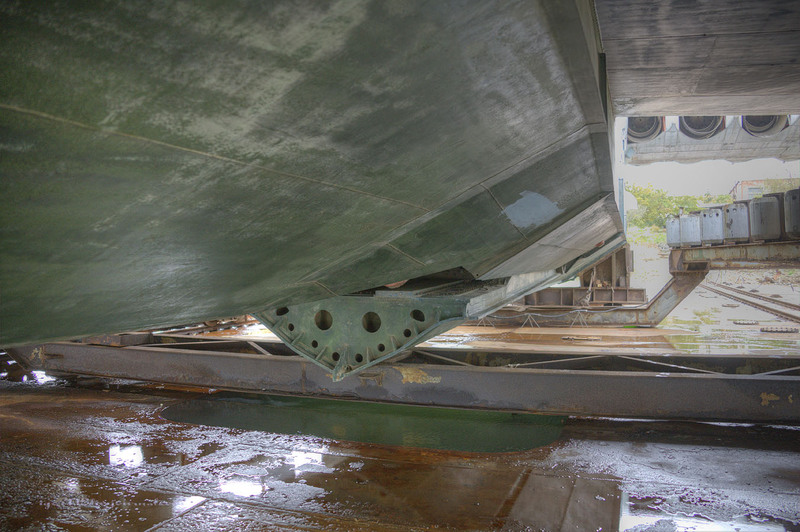 The underside of the hull is shaped like that of a speed boat. It is made to cut through huge waves at a very high speed and remain stable. It can take off and land in seas with 6-12 foot waves. 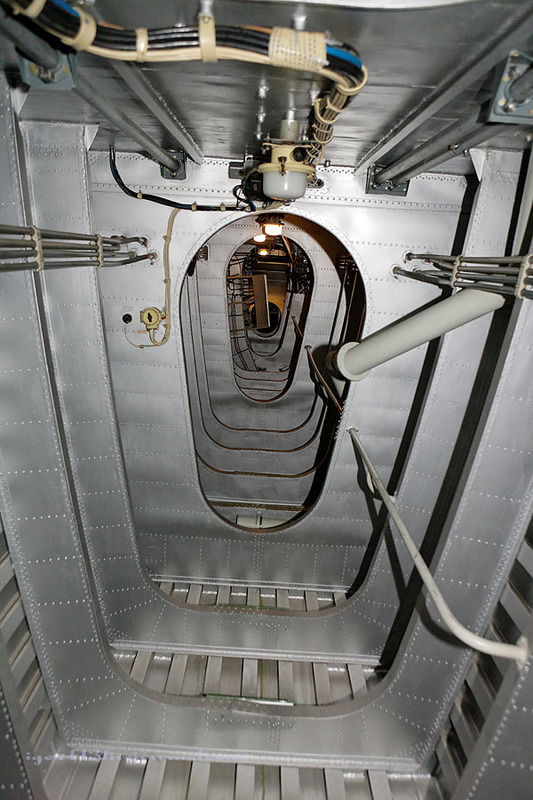 Looking at the underside of the vessel is looking at a thing of beauty. The bolt and crisp lines are 100 percent for function but they make a statement on their own. They also create a cushion of air when the machine is fully up to speed. 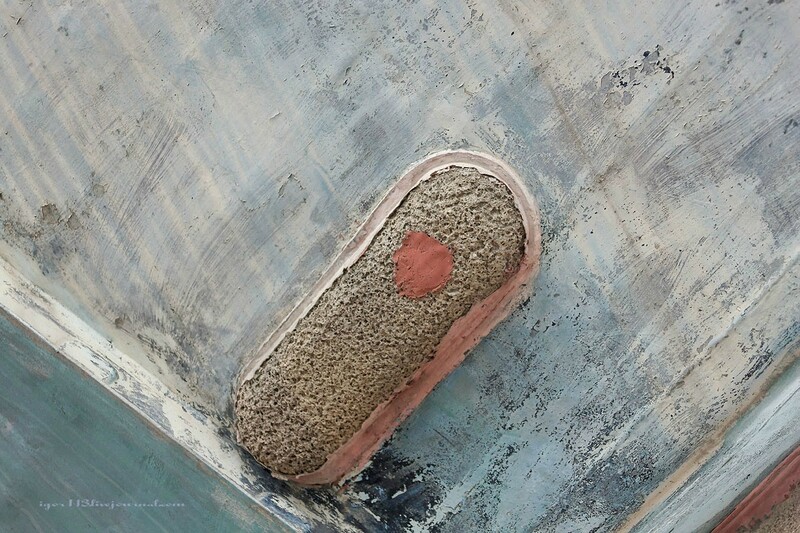 This cushion allows the vessel to travel much faster than a boat or a plane of its size. This also allows for a much heavier payload. 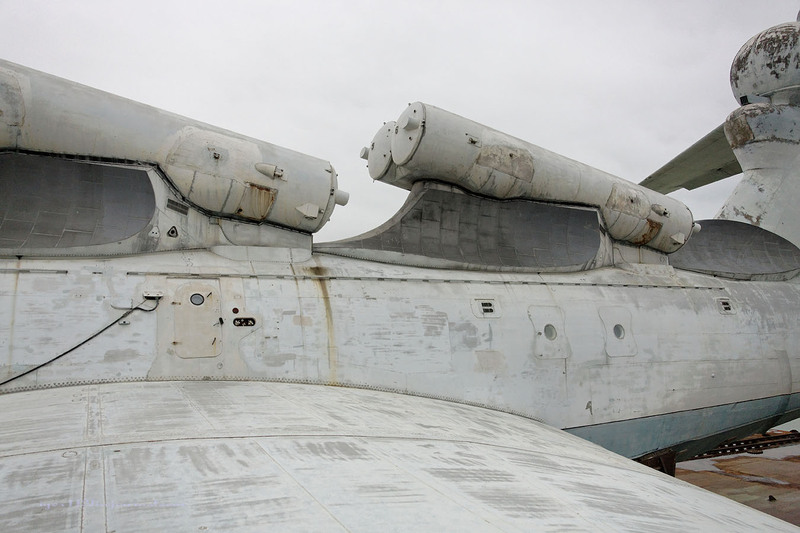 Due to these factors, the Ekranoplan was fitted with 6 enormous missile launchers mounted on top. Flying at a maximum of 15 feet above the surface of the water, it keeps it underneath any radar systems making the Lun Class Ekranoplan very stealthy. The whole underside of the vessel is fitted with these electro-chemical protection devices. They are often used in boat yards. 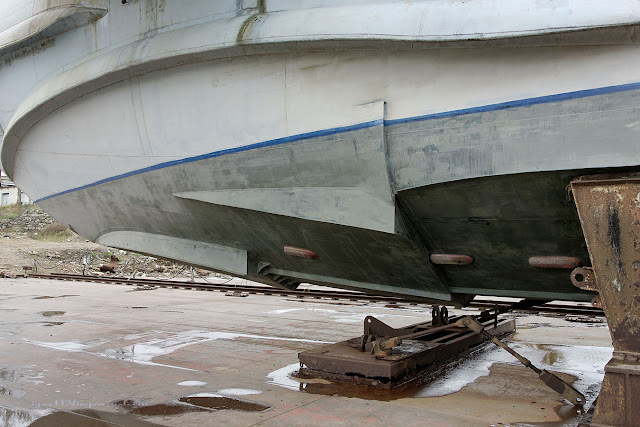 They attract the corrosive chemicals and salts in the water to protect the hull from deteriorating. The hull is equipped with a hydro-ski. 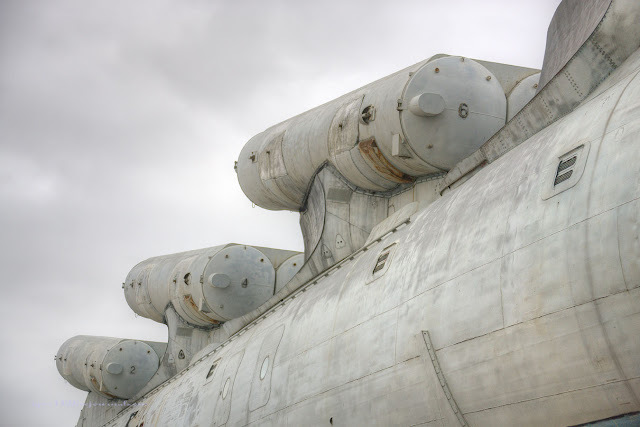 This functions by cutting through severe waves allowing the massive vessel to take off or land in waves at roughly 15 feet tall or less. The entire Lun Class Ekroplan is filled with some very high-tech tracking equipment and guidance systems. 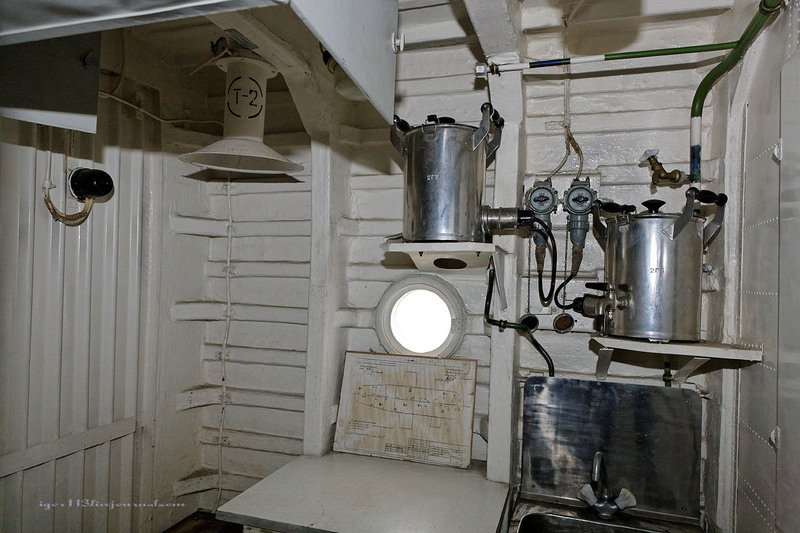 There were two gunners in the ship and this would have been one of their operating stations. The missile housings are seriously massive! Below the backside of them you will notice a darker colored contoured section. This is actually made out of the same tiles that are used on space shuttles in order to protect the hull and the mechanical parts from the blistering heat produced by the rockets when they are launched. 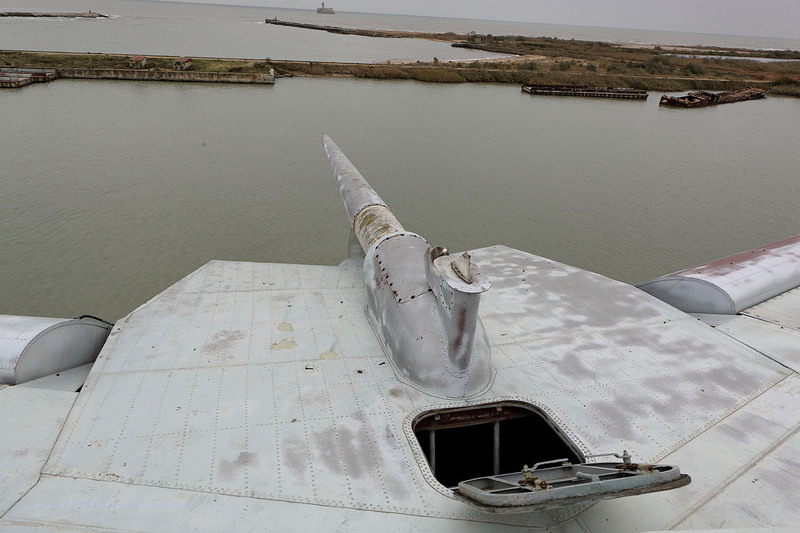 It houses 6 Moskit anti-ship missiles that it can launch while airborne. They can fly at speeds up to Mach 3 and be launched from below radar detection systems. The missiles have a range of 75 miles. Because of the firepower and speeds capable by such a stealthy vessel, it was a force to be reckoned with and feared so much that Area 51 actually had a team devoted to keeping tabs on the Ekranoplan. 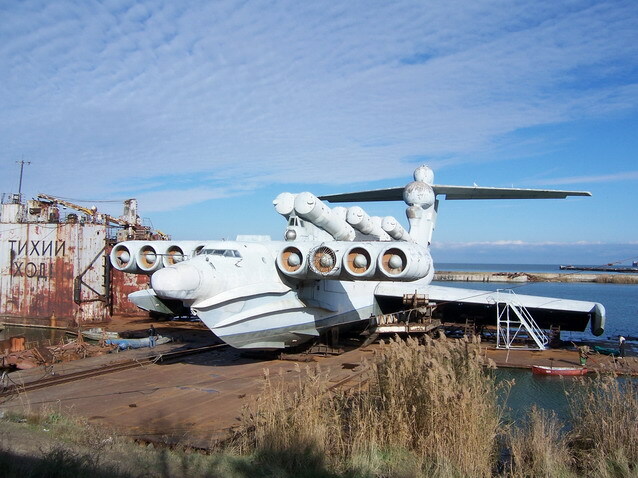 The Lun Class Ekranoplan is currently located in Kaspiysk, in the Republic Of Dagestan. The vessel would have housed 7 officers and 4 midshipmen who could sustain themselves while being undetected for up to 5 days without resupply. It is actually considered a flying ship rather than an amphibious airplane. At 240 feet long, the fact that this is a ship that can do 300 mph just blows my mind. It is enormous. If you want to compare it to something for size , it is roughly the same size as a Boeing 747 airplane. 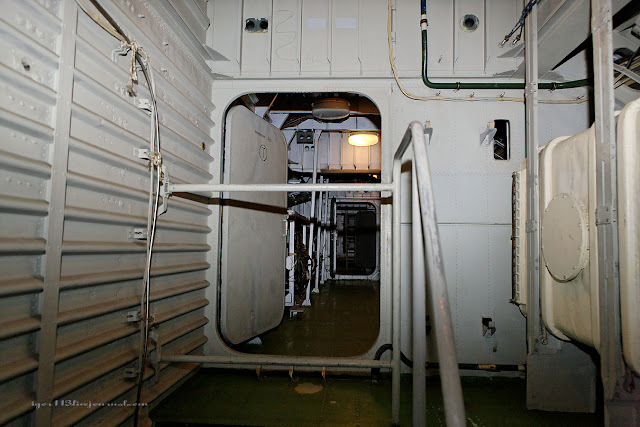 There are several ways to access the roof of the ship. 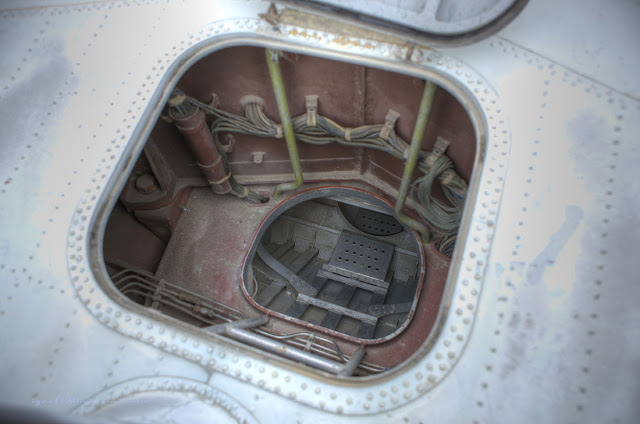 One hatch is just in front of the front gunner’s workplace on top of the engine wing. I wonder if they ever parked in the middle of nowhere and hopped up here to get a good tan. The beast is absolutely intimidating looking from every angle. It is easy to understand why the U.S. military was so worried. The technology here is said to be unappreciated and highly underrated. 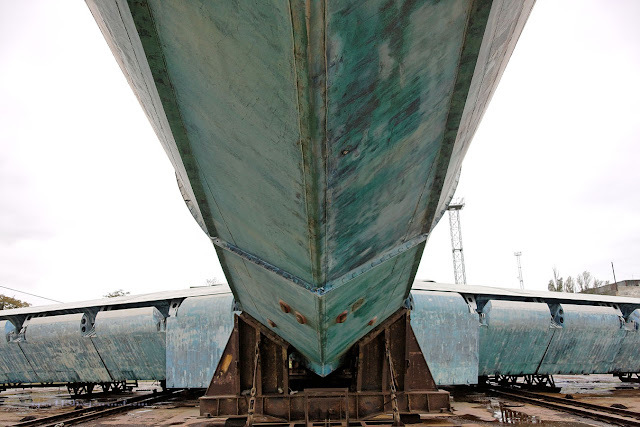 There were a few mishaps when investors were watching the vessels fly and cut all funding and dismissed the idea of more Lun Class Ekranoplans being built. You have to either be a mad man or a genius to come up with such an obscure design implementing both principles of flight and float to one seamless structure. It is much more than the amphibious planes you see flying around today but it is limited to enormous lakes or oceans. It would be able to fly to another body of water as long as nothing taller than 15 feet was in the way from take-off to land. 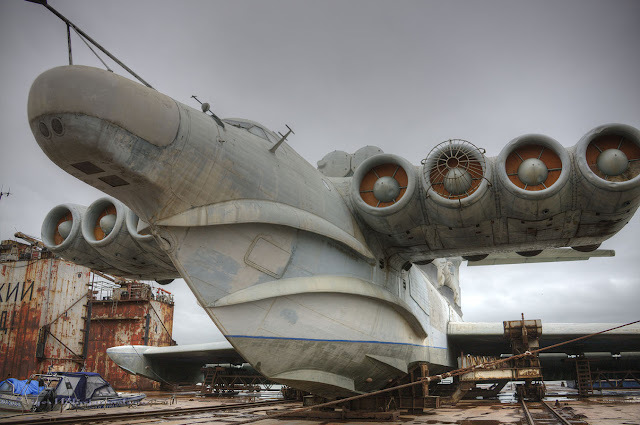 As for the ocean however, this Ekranoplan is right at home as one of the most dominant vessels of its time. 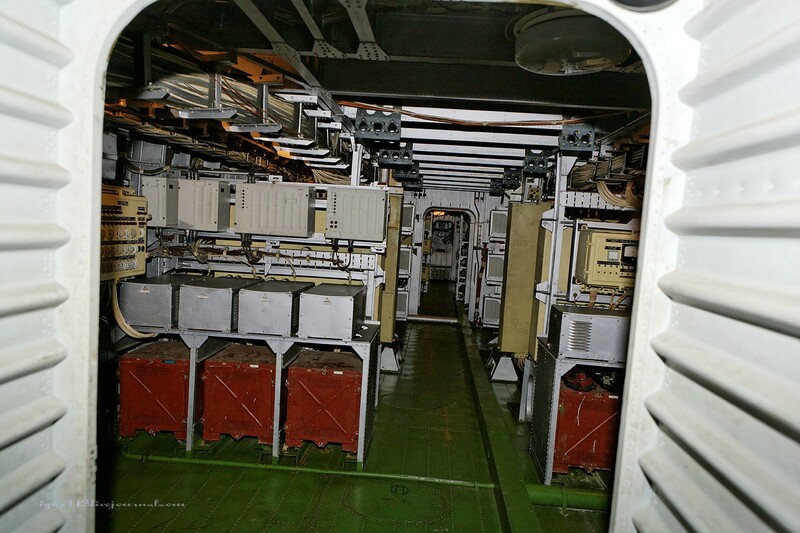 All of the hatches are designed as ship hatches to handle rough seas. 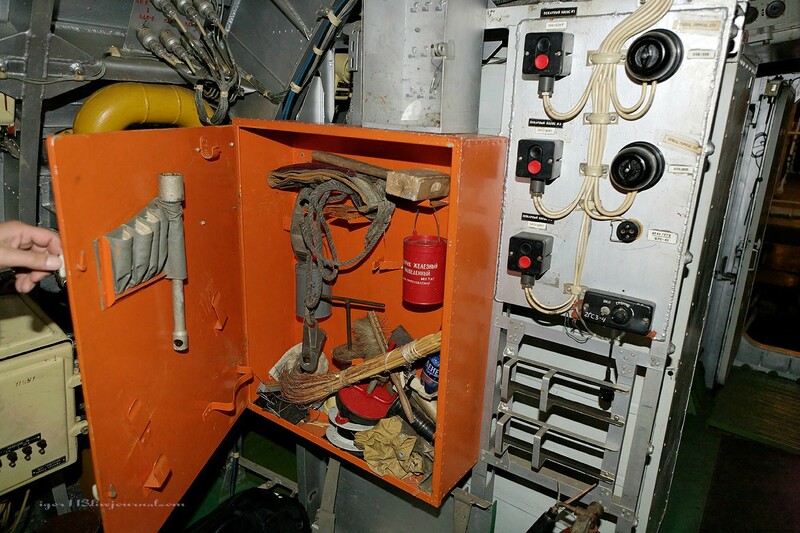 Inside you will find a lot of equipment found standard on a military airplane. It is truly a one of a kind feat of engineering that will go down in nautical, as well as aviation, history books. 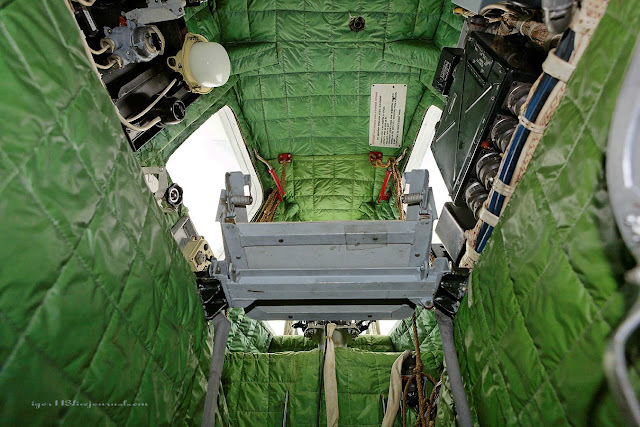 The craft is covered with multiple radar systems and control devices. They monitor all ocean activity as well as air activity. 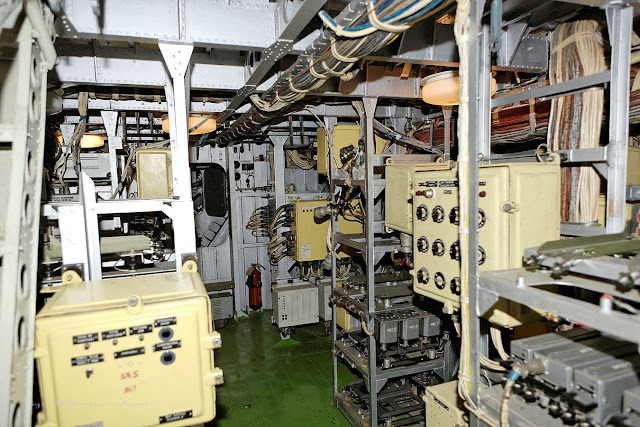 The ship also contains some very powerful guidance systems for the enormous anti-ship missiles that are carried on board. It amazes me that this behemoth of a vessel can actually take flight. Just looking at it from this view shows the sheer size. Now imagine it flying at 300 miles per hour across the open ocean! I can imagine that the crew members had one hell of an experience that will never be forgotten. The Lan Class Ekranoplan was decommissioned sometime in the late 90’s and here it sits, slowly corroding. It sits in a very volatile area where the government chooses to pay little attention to. 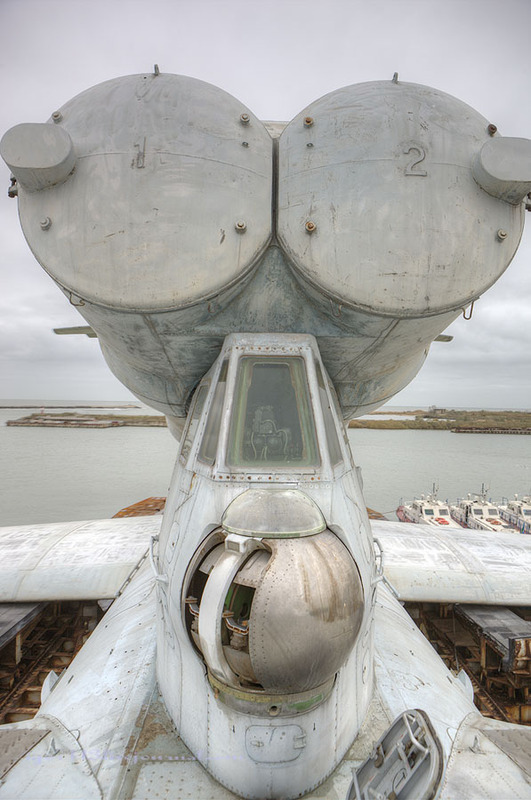 It is unclear whether or not the Ekranoplan will be placed in a museum or just left to rot. Right now it receives very minor maintenance, but not the care it deserves. This is a view from inside the front gunners command station. The cockpit of the Lan Class Ekranoplan is in great condition. It is missing one gauge on the left pilot’s control panel but other than that it looks like it is ready to be fired up once again. The interior of the vessel is still fully stocked with all the emergency equipment and gear that it had during its 10 year life. 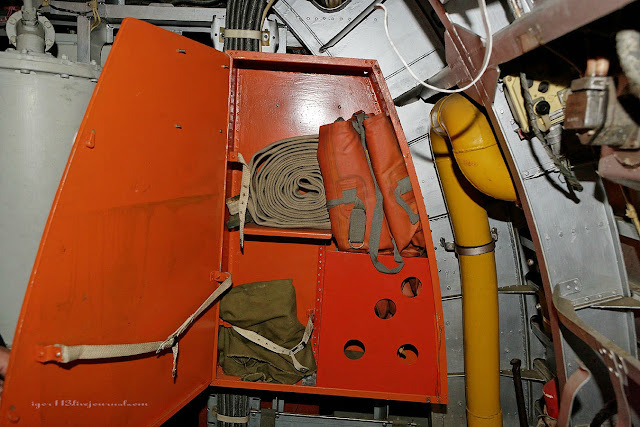 There are emergency fire hoses and emergency rafts placed throughout the hull of the ship. Although minimal, the crew did have everything they needed inside the ship. Everything from bathrooms, kitchens, and offices to sleeping quarters. It is easy to do when you have a crew of 11 operating something this enormous. 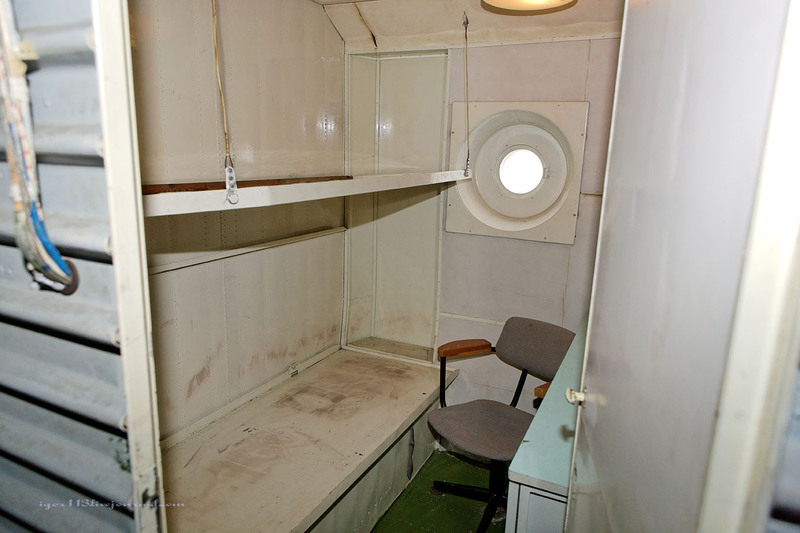 Although confined, the sleeping quarters offer plenty of space for a 5 day mission. Everything is able to be strapped down. As they say, “batten down the hatches”. You wouldn’t want your pressure cookers to go flying about under rough seas, let alone traveling at 300 mph across rough seas. The corridors of the ship lead to various control rooms that command the guidance systems or the radar systems. 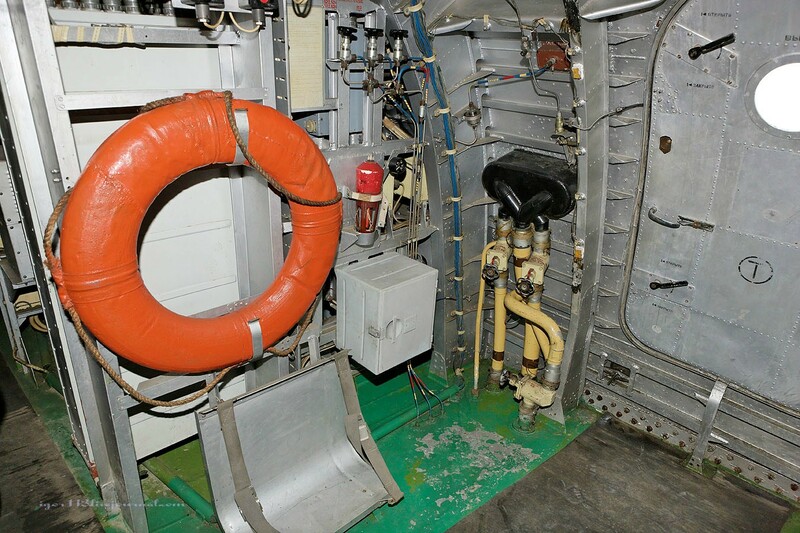 Each crew member was specifically trained for an individual piece of the Lun Class Ekranoplan. 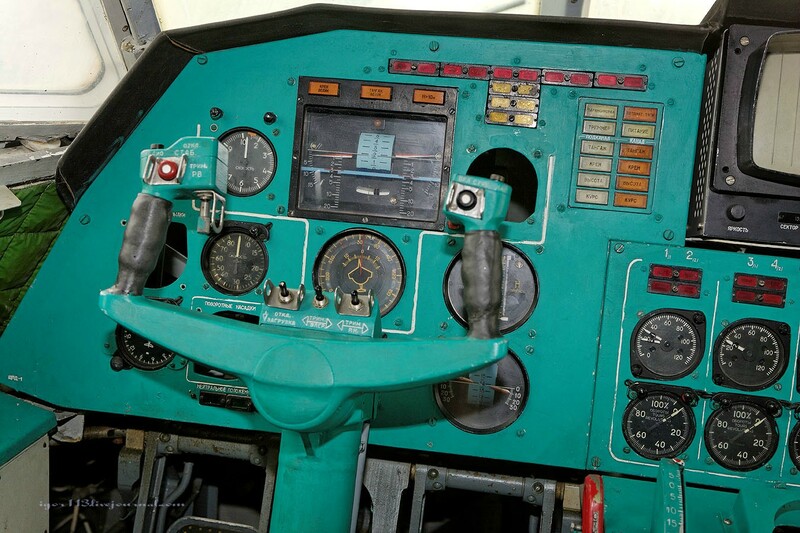 Guidance systems of the 80’s and 90’s were much larger than they are today. The image above shows just how intricate and complex the guidance system room is. Each compartment is able to seal itself off from the others in case of a hull breach. 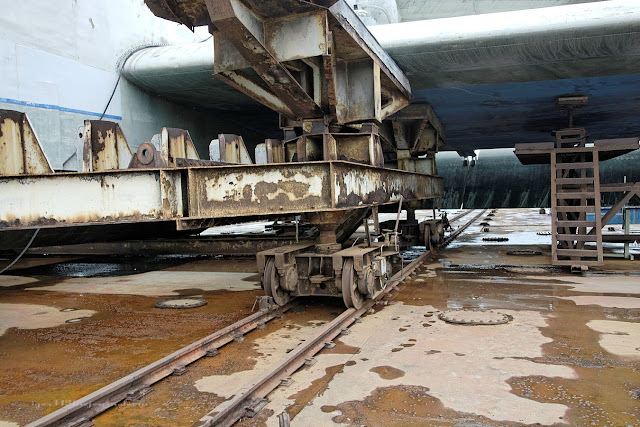 This would keep the vessel from sinking if the hull was damaged. 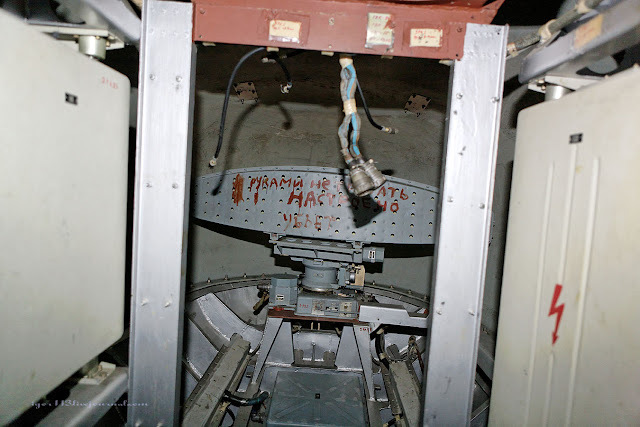 This is a forward mounted marine radar. It reads, “don’t touch by hands. It was set, it will kill”. 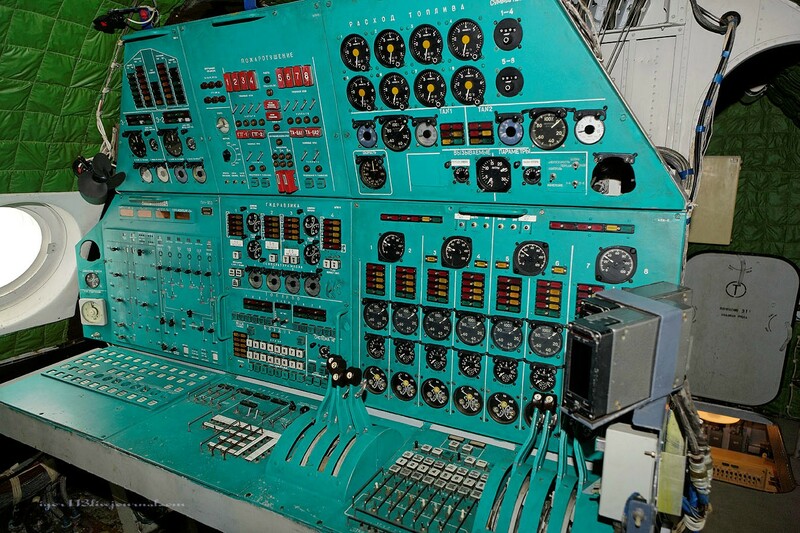 Here are the controls for the flight engineer. He would work directly with the pilots and control the main functions of the ship. 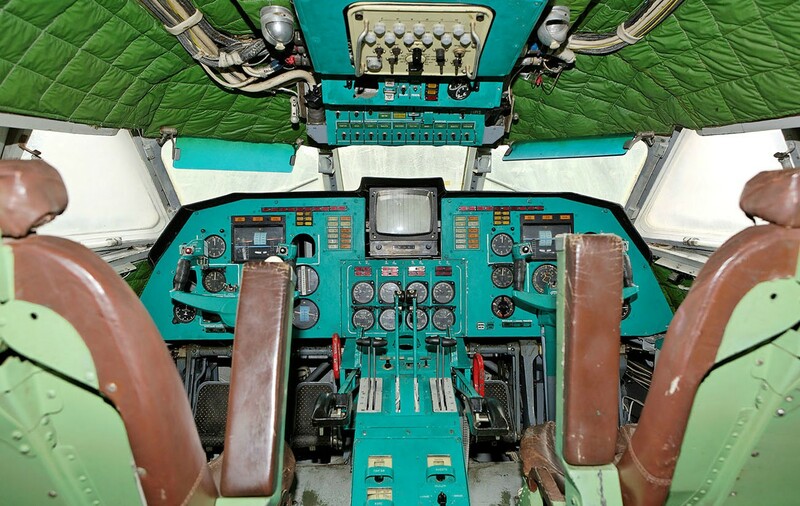 The interior of the cockpit resembles that of a military aircraft and uses similar controls, however it is in a ship. You won’t see anything else quite like this ever again. Miles and miles of cable feed various devices throughout the craft. It is unclear to me what these do but the technology and engineering here is amazing and there is a lot of it! 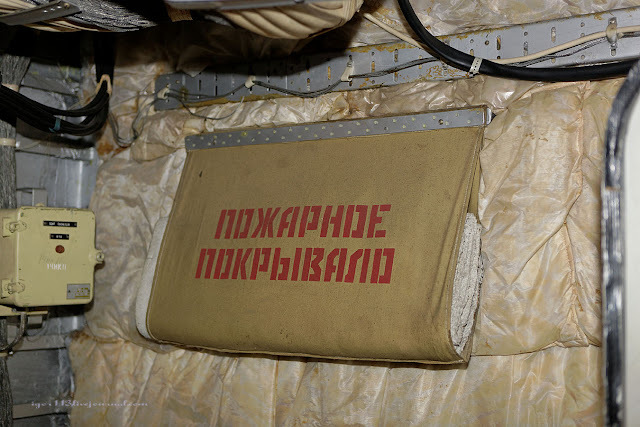 This is another fire safety system and it reads, “fire coverlet”. Here is a small auxiliary engine. There are two of these to sustain mobility in case any of the main engines are damaged. This one covers four main engines. 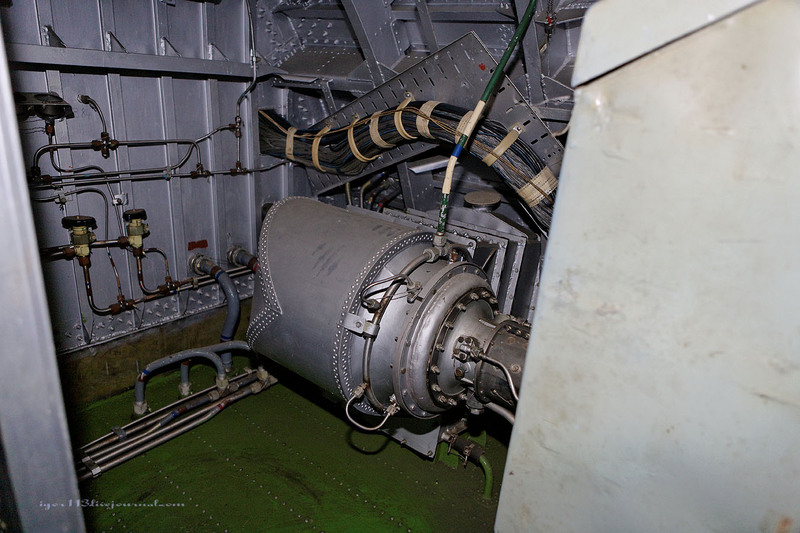 This is the opposite auxiliary engine covering the other bank of engines in case of failure. 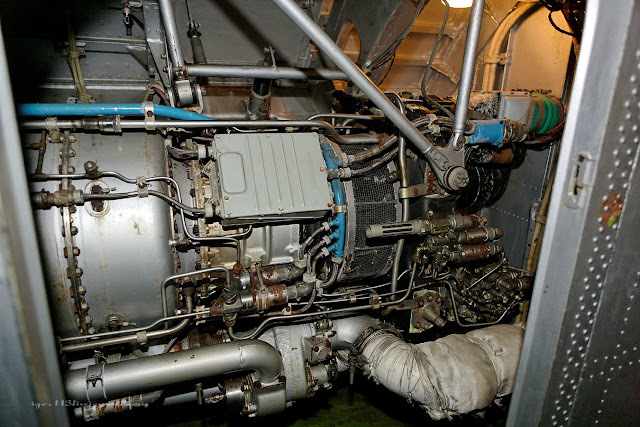 These engines would allow the Lun Class Ekranoplan to safely return home if any of its engines were destroyed during a mission or rough seas. This room is full of recording devices. Looking up at the front gunner’s cockpit. This is situated right below the front missile launchers. Can you imagine seeing two of those launch right above your head? 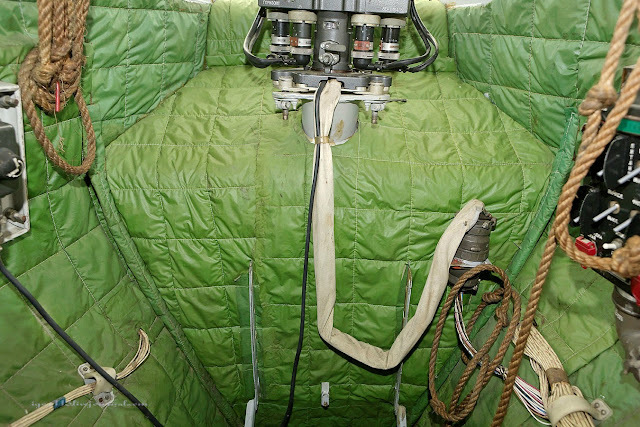 The cockpits were lined with an insulated fabric to protect from heat and cold, but mostly from the noise of the eight 28,000 pound thrust engines. I can’t imagine this beast was too quiet. 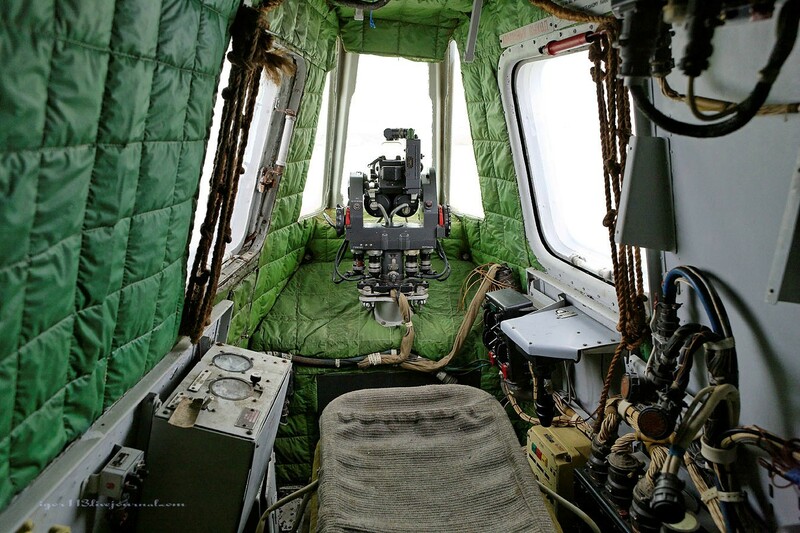 The cockpit is lined with marine rope that is used for a rapid escape during an emergency. More fire system controls. This ship seems very much prepared for an attack. 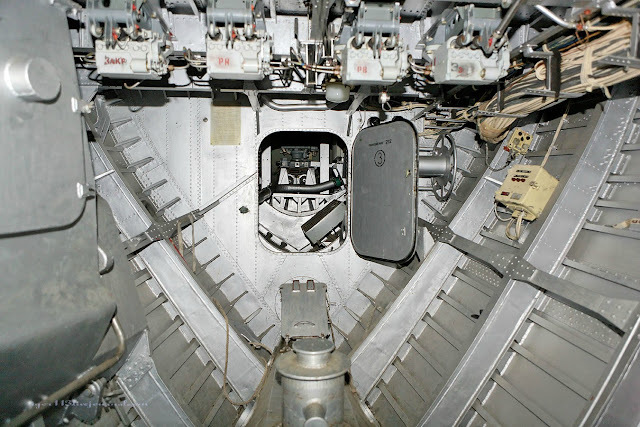 This corridor leads to the rear gunner’s cockpit. 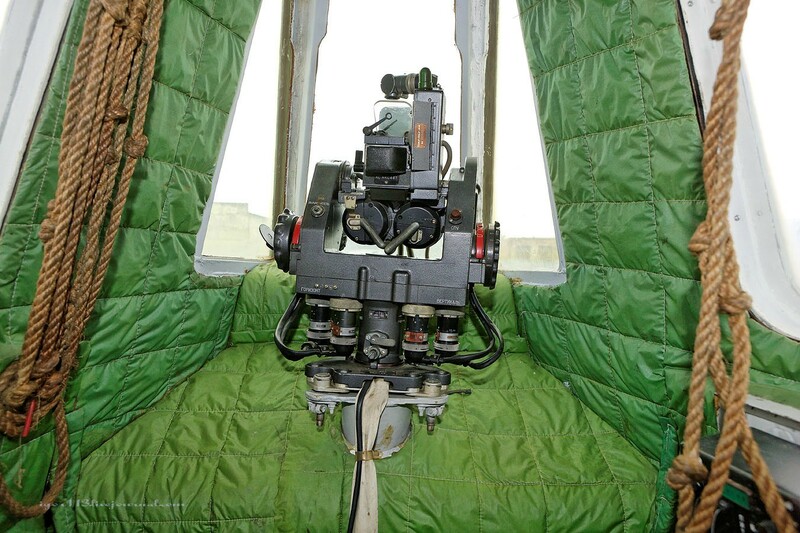 Staring out the back of the plane is the rear gunner’s cockpit. 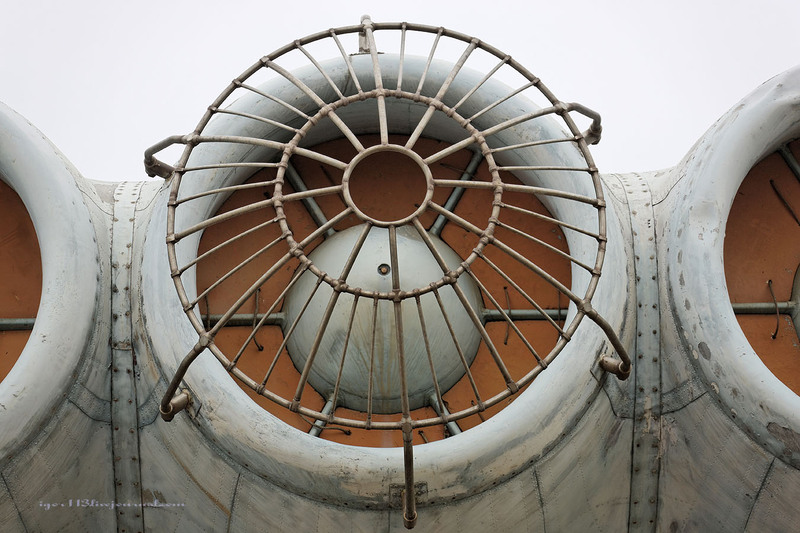 This officer’s job was to protect the Lun Class Ekranoplan from an attack from behind. 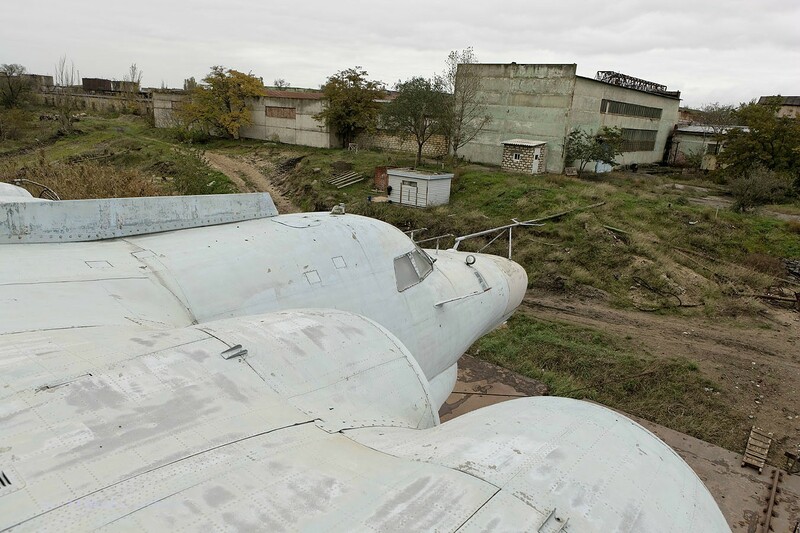 It looks like some creative imaginary airplane/ship that was dreamt up by a toddler, a mad man, or possibly a Howard Hughes type of character. The genius design paid off and for a few short years, it was the most destructive force on the ocean. 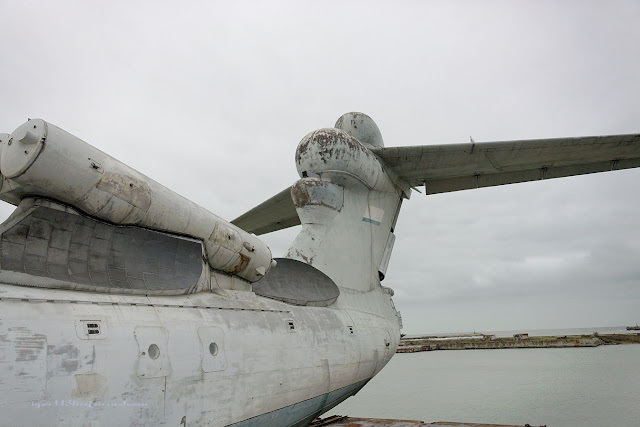 There was nothing else like it and no vessel had the capabilities that the Ekranoplan had. This is a sight that no opposing force would ever want to see. However, by the time they saw it, it would have been far too late. 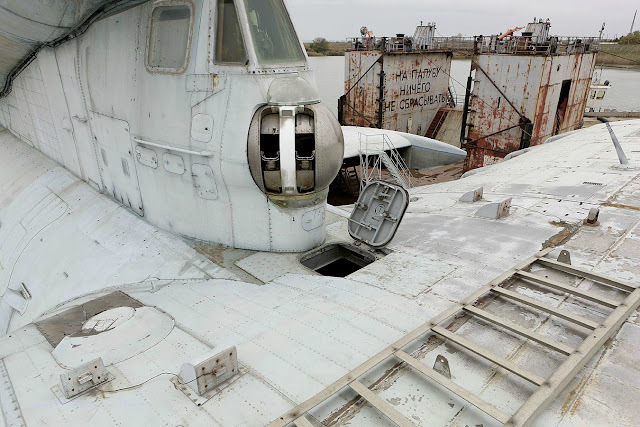 Take a look at the video below of the Lun Class Ekranoplan in action. The Russians might be a little crazy but one thing is for sure, they like to push the envelope in all matters of their lives. This is especially true when it comes to their aquatic aviation ventures. Sounds like an oxymoron, doesn’t it? The Ekranoplan is unlike anything else on the water and it reigned supreme for a very short time. It was a force to be reckoned with and will be remembered in the pages of aviation history. I can only imagine seeing this war craft flying past, off in the distance at 300 mph. 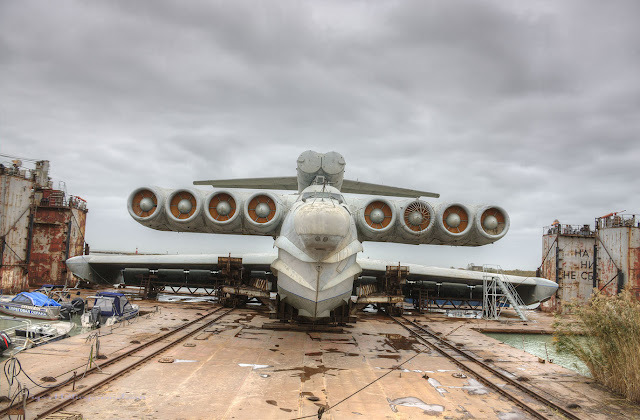 Not quite a ship, not quite an airplane, and not quite a hovercraft, the Lun Class Ekranoplan is in a class all its own and I think it is incredible!